On March 28, 2018, the United States Court of Appeals for the Ninth Circuit issued a ruling against Churchill Downs, the former owner of social gaming operator Big Fish Casino. This decision means that such social casinos are now considered illegal gambling under the laws of the State of Washington. This could have implications for other organizations that follow the model of selling virtual or play chips for real money. In 2013, Washington resident Cheryl Kater opened an account at Big Fish Casino and eventually lost more than $1,000 worth of chips while playing the games. In 2015, she sued to regain these funds under a Washington statute that allows losers to recoup their money from illegal gambling operators. Recovery of money lost at gambling. All persons losing money or anything of value at or on any illegal gambling games shall have a cause of action to recover from the dealer or player winning, or from the proprietor for whose benefit such game was played or dealt, or such money or things of value won, the amount of the money or the value of the thing so lost. Churchill Downs' lawyers argued that virtual chips did not constitute a “thing of value” because they couldn't be exchanged for real money. However, Judge Milan D. Smith, Jr. didn't buy this explanation. He concluded that these chips were required for the “privilege of playing at a game” within the Big Fish Casino and therefore were legally a “thing of value.” The opinion also noted that users could transfer these chips within the casino to other individuals and that third-party marketplaces had appeared allowing for the sale of Big Fish Casino's virtual chips. Judge Smith's ruling clears the way for Cheryl Kater to continue with her lawsuit to recover the value of the virtual chips she lost from Churchill Downs. Because it's a class action lawsuit, its final disposition may include many hundreds or thousands of other members of the class. Thus, Churchill Downs might find itself on the hook for a substantial sum of money. 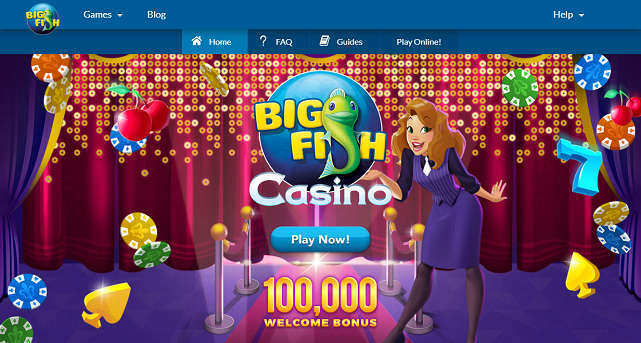 Big Fish Casino has download software for both PCs and Macs as well as apps that are compatible with iOS and Android. It's also possible to play in-browser through the instant software. The games consist of slots, blackjack, video poker, and other titles that you would expect to find at any online casino. Users get a limited number of chips for free to try out the games upon signup, and there are additional opportunities to gain more chips every day without paying anything. However, the site's business model relies on the sale of virtual chips for real money, and several packages are available at different price points. These virtual chips cannot be cashed out through the Big Fish Casino site although several outside marketplaces exist that allow users to exchange their chips with others for real money. Unlike at traditional online casinos, the social elements of Big Fish are extensive and well thought-out. Players can enter personal information in their profiles, add people to their friends lists, join clubs, send messages, and interact with the community in a variety of other ways. Big Fish was founded in 2002 in Seattle. It was bought by Churchill Downs, the land-based racing and casino gaming giant, for $885 million in 2014. In January 2018, Churchill Downs sold Big Fish to Aristocrat Technologies, a renowned developer of slot machine games, for $990 million. There are plenty of operators that follow a similar model as Big Fish Casino. For instance, Zynga Casino and Global Poker offer games that use virtual currencies. These firms and others could find themselves liable for any losses that Washington's citizens incurred while partaking in their services. In the case of Global Poker, the situation is particularly troublesome for the company because its $weeps Cash chips actually are convertible to real money within the Global Poker software. Industry giant PokerStars has already withdrawn from the Washington State play chip online poker market, citing the recent court ruling as justification for doing so. This falls in line with 'Stars' commitment to staying fully within the law so as to increase its chances of being allowed to operate legally, with the blessing (or at least indifference) of the authorities, in as many jurisdictions as possible The company stated that it hoped that “the law will be clarified,” permitting it to reenter the market at some point in the future. Many other states have laws that declare gambling losses recoverable. In the wake of the recent Washington decision, we could see losing gamblers take advantage of them in increasing numbers, to the detriment of social gaming concerns. On the other hand, it is possible that this ruling will be challenged and appealed to a higher court where the original court's decision could be upheld. Only time will tell. Until such time, those of us wishing to play online, be it poker, casino, or sports betting, via offshore sites who use a combination of International law, bi-lateral trade agreements, and the backing of the World Trade Organization to offer online games in Washington State.